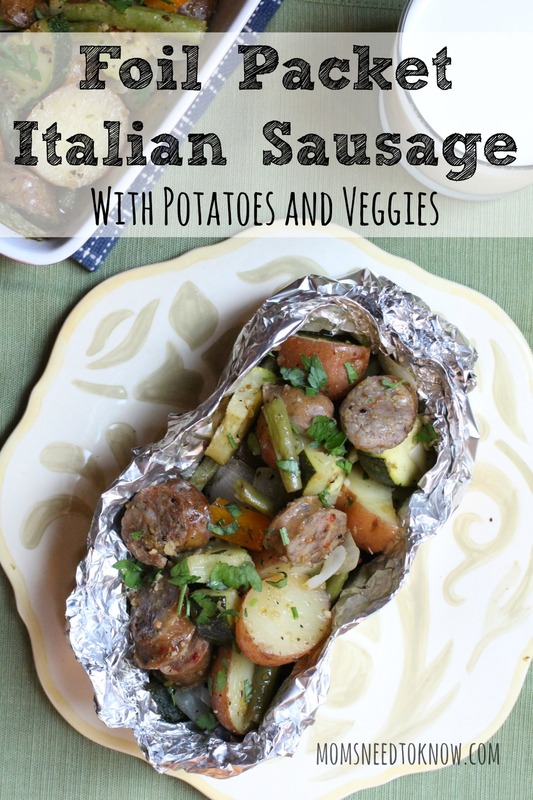 Whether you need a meal for the grill, campfire or oven, this foil packet Italian Sausage with Potatoes &amp; Veggies is packed with flavor and so easy to make! Add olive oil and spices to a large bowl. Stir to combine. Place 2 12" squares of aluminum foil on top of each other and place ⅙ of the mixture in the center of the foil.